Cromarty Courthouse Museum has been lucky enough to get funding support from the Heritage Lottery Fund to allow us to play our part in the Year of Architecture and Design. 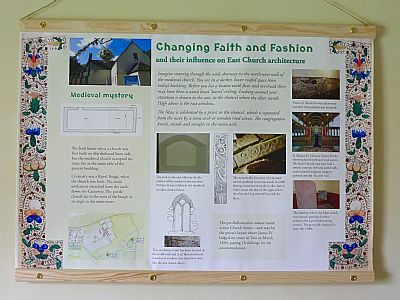 So far I've created a small exhibition for the East Church vestry (shown above), curated a community photographic exhibition at the Courthouse (shown below), and organised and promoted tours of the town, led by historian David Alston. 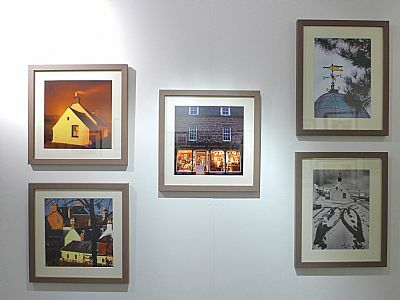 We've been delighted at the enthusiasm for these activities, with an average of 20 people on each walking tour, and lots of positive comments about the photographic exhibition - which includes some stunning photographs. 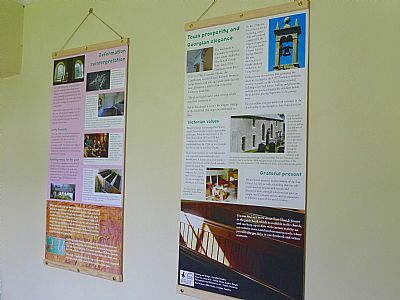 Still to come is a small guide to Cromarty architecture and a new exhibition on 'The lost buildings of Cromarty' that will run during September and October. It's really fascinating putting that together, looking at old photographs and maps, studying artistic interpretations of sites that now remain only oas sections of wall or, in the case of the medieval buildings as postholes or lines of stones on the ground for archaeologists to interpret. I was lucky enough to be able to spend time at the archaeological dig again this summer - it becomes amazingly addictive! Apart from the intrigue of trying to understand the development of the site there is always the anticipation of artefacts to come. The site abounds with them - from fish and animal bones to many hundreds of pottery fragments, not to mention the mysterious stone discs. If you'd like to find out more about the dig, take a look at the website, where you'll also find a link to a photographic archive - I'm still adding to this, and so it will increase over time. 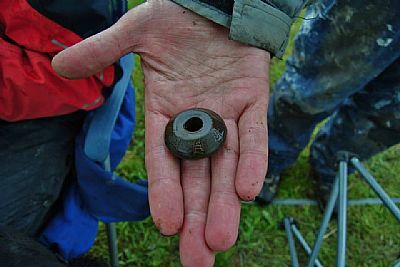 The photograph below shows my hands with a beautiful spindle whorl that I was lucky enough to find, but the pottery glazes, and the smooth, smooth fish hook sharpening stone were just as exciting.